GoBike exists to campaign for better cycling facilities in Glasgow and the Strathclyde area. We will praise infrastructure changes which introduce good practice but we will object to proposals that do not adequately design for cycle traffic, do not meet current standards and which increase the potential risk to cyclists and other vulnerable road users. We encourage all our members and supporters to let councils know if they are getting things right. We hope you like our Consultations publicity in the form of fortnightly digests, published as posts from this website (see the Home page to subscribe) on alternate Tuesdays. Consultation Extra: Renfrewshire Cycle Path Consultation Events are ON! Tuesday 26 and Wednesday 27 February – DO PLEASE ATTEND if you can. Consultation Digest Issue 26, 22 January 2019 – South City Way and other local and Scotland wide news. Here’s a picture of the brand new Broomhill School and the City Council propose to make the road going up to the right on the picture one-way. But have they considered active travel and all the work other bits of the council do to encourage children to cycle to school? We fear they haven’t. So our letter to the council, GoBike Consultations Broomhill One Way 21 Dec 2017 about this plan, broomhill one way tro plan TRO201701501 confirms that we are happy with their proposal, provided that they maintain two-way cycling! Let’s hope that we are lucky with this one. The closing date for comments on this proposal for Broomhill is 12 January so you have time to get your views in, if you wish. We have also responded to proposals to install speed cushions on Millbrae Road in Langside. Here’s Glasgow City Council’s plan of these speed cushions: Millbrae Road plan and you can see that the cushions are proposed for the full width of the road, but, they will be building the footway out at each speed cushion. Now while this helps pedestrians to cross the road, what does it do for those of us on bikes? The buildouts push us out into the road, ie into the motor traffic and then the speed cushion just adds that extra bit of gradient onto what is already quite a steep hill going north. The council says that the “scheme is aimed at improving road safety by reducing vehicle speeds and discouraging rat-running.” It certainly doesn’t look as if it will improve road safety for people cycling. Our response is here: GoBike Consultations Millbrae Road Speed Cushions 21 Dec 2017 and the closing date for comments is next Friday, 29 December, so, if you have time between opening presents and eating mince pies, do please get your comments in to the council on this. Glasgow City Council propose, in a recent e-mail headed “Swinton Avenue Traffic Calming Scheme”: “to consider the introduction of the above named Traffic Calming Scheme and I wish to establish the views of your organisation. The scheme is aimed at improving road safety by reducing vehicle speeds and discouraging rat-running. Their drawing: Swinton Avenue Traffic Calming Propsal shows only 0.5m at the outer side of each set of speed cushion, ie one would have to cycle right in the gutter, over the cushion or in the 0.7m gap between the 2 cushions. There appears to have been no consideration of active travel and we have proposed options of one-way chicanes with cycle bypasses or for the road to be stopped up allowing only cycle through traffic, and we have copied our letter, GoBike Consultations Swinton Avenue Traffic Calming 13 Dec 2017 to the 3 Councillors for the Ward, ie Ward 20, Baillieston. We have also mentioned the potential impact of Mark Ruskell’s 20mph bill – if you haven’t written to your constituency and list MSPs to ask them to support this, please do so! The old Goldberg site on Candleriggs, from Wilson Street down to the Trongate is being redeveloped and road access is being changed to facilitate access to the hotel being built there. The good news for active travel is that there will be no through motor access from Bell Street to Wilson Street (the junction at the foot of the photo) and there will be a contraflow cycle lane on the south part of Candleriggs, to allow two-way cycling here. I refer to your attached letter dated 10 July 2017 regarding the proposed Mandatory 20mph Speed Limit Zone for Partick and would like to thank you for your support and comments. I can advise that the Council is unable to make the full City boundary a mandatory 20mph speed limit zone at this time. This would require substantial funds given the sheer volume of work that would require to be undertaken, such as speed surveys, material costs and any physical traffic calming measures which may be required throughout the boundary, particularly on roads with existing speed limits of 40mph and above. In order to create a priority list, my Officers are assessing new areas for implementing mandatory 20mph speed limit zones based upon accident statistics and it is anticipated that, due to the new guidance, much larger areas will now be proposed for any future mandatory 20mph speed limit zones. With regards to parking issues, I can confirm that the Partick area is being implemented as a Restricted Parking Zone (RPZ) and any monitoring or enforcing shall be carried out by Parking Attendants, depending on resources. I can also advise that speeding is an offence that only the Police can enforce, therefore I am unable to comment on their enforcement strategy. I also note your comments regarding the Cycling Policy and would advise that Glasgow’s Strategic Plan for Cycling 2016 – 2025, states that Glasgow City Council will seek to exempt cyclists from one way streets and the Council will continue to liaise with Police Scotland regarding this issue. I trust that this is of assistance to you, however should you require any further information, please do not hesitate Varinder Singh on 0141 287 8892. We have now responded with this letter: GoBike Partick 20mph support with concern 100717, follow up 060817 which sets out our position. Glasgow City Council propose to introduce a 20mph mandatory speed limit in Partick, you may see the Traffic Regulation Order details at: https://www.glasgow.gov.uk/index.aspx?articleid=18127 While GoBike is very much in favour of a mandatory 20mph speed limit in the city we have repeated our concern that it is being introduced in a piecemeal and expensive way. We are also very concerned at the associated changes in parking; these are ostensibly to control parking but cars are being allowed to park on both sides of relatively narrow streets and this means that the City Council will not comply with the default position in Cycling by Design, see the information on our Design Guides page to allow contraflow cycling on one-way streets. In fact there is barely room for large vehicles to get between the parked cars. 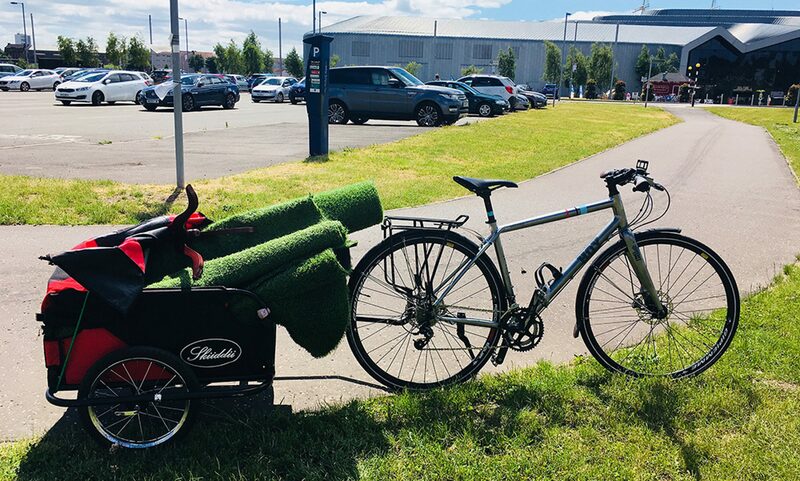 We have responded on-line to the Scottish Green Party for comments on their ambitious proposals for an update to the Party’s current policies on active travel. We have also responded on line to the options for the Walk, Cycle, Vote campaign – we hope the campaign will maintain a minimum presence until the next national or local elections in Scotland. A third on-line consultation was for the revised Glasgow City Council options for the proposed Woodside Mini-Holland scheme in the St George’s Cross area of the city. The proposals were displayed at the Woodside Halls on 23 June and our comments were made further to a visit there. If enacted the scheme will greatly improve the ability to cycle confidently through the area. GoBike member, Bob Downie, presented a petition to the City Council 2 years ago, proposing a default city-wide 20mph speed limit (allowing for exceptions for some roads to be 30mph or even more). This was well received by Councillors at the Petitions Committee, but now the Council has reverted to its original piecemeal approach. Mark Ruskell, Green MSP currently has a bill out for consultation, see: http://www.smartsurvey.co.uk/s/20mphSpeedLimits/ and, if successful, this would bring about default speed limits in all our urban centres of 20mph. Speed Cushions and tables are very expensive to install and maintain. 1 set of speed cushions on Crompton Avenue. The Council intend to proceed with the installation of both speed tables on Carmunnock Road and a set of speed cushions on Old Castle Road however, proposes to amend the original location of the speed cushions on Crompton Avenue as well as install a second set of speed cushions whilst removing the current ‘bolt-down’ speed cushions located outside of St Fillan’s Primary School. The new proposals on Crompton Avenue should ensure that vehicle speeds are low whilst passing St Fillan’s Primary School. The installation of 2 speed cushions at a point 5 metres northeast of the extended northeast kerbline of Elmore Avenue (approximately 2m in width, 3m in length and 75mm in height). The installation of 2 speed cushions at a point 5 metres southwest of the extended south kerbline of Carmunnock Lane (approximately 2m in width, 3m in length and 75mm in height). Please provide any comments you wish to make on these proposals within 21 days (reply by 20 June 2017). We have responded to on-line consultations on the Scottish Government’s Active Travel Task Force, the Pavement Parking Bill and the current Mark Ruskell’s default 20mph proposals. Glasgow, Sauchiehall Street: Avenue concept: We have now responded to the TRO part of the Consultation with this letter: GoBike Sauchiehall Street partial support 280217 and we have responded to the Planning Application, see: GoBike Sauchiehall Street Planning Application on-line 2000 character response 100317 Our main concerns are the lack of access into the cycle lane at all the junctions and the failure to provide any linkage over the M8 from Woodlands Road and St George’s Road. The scheme has been devised for Sauchiehall Street only rather than as part of a cycle route strategy for Glasgow. Glasgow Bus Lanes: all to be part-time! The recently completed contraflow scheme in Cardonald Place Road, referred to in our letter of 04 August. This consultation is open until 08 August; please add your voice by writing in to the addresses shown on the letter. We have responded to the City Council’s latest set of proposals for 20mph zones; 4 of them covering Auldhouse,Blairdardie, Broomhouse and Waverly Park,scattered across the city. Yes, we want 20mph but we want that as the default speed limit in the city, and we want it now, not at some unspecified time in the future, and we have responded in that vein: GoBike Citywide 5a 4 20mph Zones support, with concern. The third consultation relates to parking controls within the city centre, with motorcycle bays, more paid parking meters and electric charging points. We welcome this move as it should improve the urban environment for us all, see: GoBike City Centre parking support 190416. The third was a consultation about closing the end of Gadie Street, near Provan Road at Alexandra Park to all vehicles except cycles, a first in our experience. A sensible move by the City Council and we hope to see more formal exceptions for cycles. We also suggested that the old railway track under Gadie Street at this location be opened up as an off road route, see: GoBike Gadie Street and above diagram. The GoBike response is here, CAPS Response GoBike Mar 16 and I trust that is a positive and critical response. This, and the next 2 consultation documents may currently be seen at: https://www.glasgow.gov.uk/index.aspx?articleid=18127 Please respond to the Council if you have views on these proposals. We eventually got a detailed plan, 425040 002 – Preliminary Design Clyde Place from the City Council, which has allayed most of our concerns and we have thus submitted this letter of comment, GoBike Clyde Place comment to the Council. We now await construction! Glasgow City Council have issued a Traffic Regulation Order for a 2-way segregated cycle way on Clyde Place, with a Plan and Notice. However, there is insufficient information for us to provide a full response, although we do welcome a 2-way segregated cycle way. We have thus requested more information; you can see our GoBike Clyde Place request here. 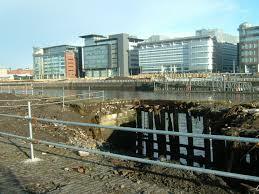 One of our concerns is the lack of clarity about the link into the Tradeston Route that is currently being constructed. The consultation closes on 21 September. Glasgow City Council, Peninver Drive and Burghead Road, (near north-bound Clyde Cycle Tunnel) Govan, proposal for one-way driving. GoBike Shieldhall Road response June 2015 Shieldhall-3 The closing date for comments/objections is 10 July so there is still time for you to get your views in. We were alerted to this proposal by 2 Community Councils. Following the installation of the gyratory road system at the Hydro, cycling north on Finnieston Street is difficult, to put it mildly. GCC propose to make the east footway available to cyclists as well as pedestrians; there just isn’t room. This proposal repeats part of one were consulted on last November, thus we have sent 2 letters. We have the support of the local Community Council and the Green Councillor for the area with our objection. GCC continue their patchwork of 20mph zones with traffic calming. While we welcome this speed reduction in residential areas, we consider, in the light of this week’s approval of the GoBike 20mph petition, that no new traffic calming is necessary. We have now received this final response. Remember that our objection was based on the proposals being inadequate, the published drawings did NOT show that parking was to be banned in the cycle lanes and the cycle lanes were not continuous. GCC’s interpretation of “a modern standard” does not, from the information we have, tally with any of the design guides we are aware of. And yes, Phil is related to Frank! Firstly, I would like to thank you for your correspondence regarding the above order and apologise for the delay in replying. As you may be aware, the main intention of the proposed traffic regulation order was to prevent vehicles from parking in the cycle lanes, thereby leaving the cycle lanes unobstructed for use by cyclists. Upgrading the cycle lanes to a modern standard would then have followed. Whilst support for the scheme was received, unfortunately, as a result of objections received from members of the public, community councils, traders and a local cycle campaign group, the decision has been made not to pursue the proposed order for the time being. The Council recognises that there was substantial concern regarding the need to park in the area. Consequently, plans to improve the cycle route will be held in abeyance until plans for improving the management of parking are brough2t forward, since the incentive of improved parking management may resolve many of the concerns previously expressed during the consultation. This is scheduled for 2016/17. A separate TRO has been promoted by the LES Traffic Section for the loading bay at 70-82 Hyndland Road, since this is not related to the upgrade of Colleges Cycle Route. Notwithstanding the above, the Council will carry out an assessment of the cycle route to identify what minor improvements that can be made during the interim period.I trust this is of assistance and again thank you for your correspondence. On 30 June we received this response: GCC response, 30 June, to GoBike objection, 05 March 2015 to Queens Park footway redetermination This appears to be in strong contradiction to the aims of the draft of Glasgow’s Strategic Plan for Cycling 2015 – 2025 currently out for consultation! We were given a wee bit of (free) legal advice against appealing to the Court of Session – massive costs both for us and the City Council (which, of course, those of us living in Glasgow would also pay for). We have thus written to Councillors Watson, Kerr and McAveety, alerting them to our concern and also giving them the news that civil action has been taken against other local authorities in Scotland where incidents have occurred as a result of failure to comply with the Traffic Signs Manual. GCC have responded promptly to our comment and objection – see below – and we have withdrawn our objection. We were alerted to this (closed) consultation by one of our supporters, whose objection was rejected. We have considered the proposals and, although late in the day, we have also submitted an objection. In addition, however, we have appealed against the Council’s decision to the Court of Session. This is the first time, we think, that GoBike has taken such action, and we have taken it not because the City Council are changing the parking regime and not even because they propose to allow contraflow cycling (which we welcome) but because they propose to do this with NO SIGNAGE OR LANE MARKINGS! Details of a Court of Session appeal are given in Clause 41.24 of a very legal document; we hope we have done it correctly! Glasgow City Council: Paisley Road West, changes at junction with Tweedsmuir Road and Cardonald Place Road. We have commented favourably on most of these proposals which may be seen on the GCC website However, we have concerns about the introduction of parking at one location and have objected to this part of the proposals. The City Council propose to extend the current 30mph zone 450m east of Boydstone Road, see here for details. We approve of this and would even like the speed limit to be extended as far as the junction with Barrhead Road. Glasgow City Council (Colleges Cycle Route) Traffic Regulation Order: GCC response to our submission of 29 September 2014. On 27 January 2015 we received an e-mail response to our objection to the changes, submitted on 29 September last year. We considered the response and have maintained significant parts of our response, replying, within the short timescale given, of 04 February. Clarification was later received and there were no grounds to continue discussion. Glasgow Dowanhill and Byres Road (Traffic Management and Parking Controls) Order. The Stage 2 proposals for Queen Street may be seen here Further to the Go Bike submission at Stage 1 further bike stands are to be included, with further space set aside for possible future cycle use, but in our submission for this final stage we still press for substantial facilities for cycles to bring us up to European standards. Go Bike and other groups have been asked to review proposals (attached) to standardise bus lane operation times, with 3 options proposed: peak time only, day time only or 24/7. The latter is the Go Bike preference and our reasons are stated in our submission. Glasgow City Council recently issued proposals to “enhance” cycle routes in the Finnieston/SECC area to Go Bike and other cycle interest groups. The proposals include an upgrade to a path on the north side of the expressway, which is welcome, the shared use of the footway on the east side of Finnieston Street by both cyclists and pedestrians, which does not meet the design standard and moving the sign outside the Hilton Garden Inn a short distance. The proposals and the Go Bike response are both attached. 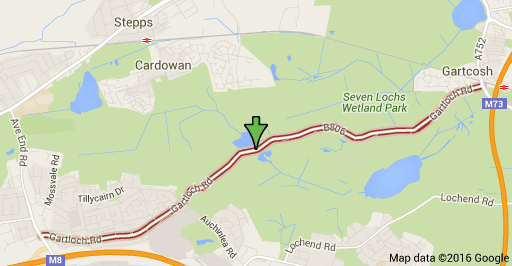 Glasgow City Council, as per Go Bike information last month, propose to construct a cycling and walking route linking the Silverburn shopping area to the A77 at Newlands. Go Bike members have considered these plans and while the widening of the footway along Barrhead Road is to be welcomed (although on-road segregated lanes would be preferred) we do object to the council’s failure to address the Auldhouse Roundabout, which would also benefit the Pollokshaws Streamline Proposals to which we objected in August this year. East Dunbartonshire Council propose the installation of segregated cycle lanes from Milngavie towards the boundary with Glasgow on an incremental basis. Go Bike have submitted comments. Glasgow City Council (Colleges Cycle Route) Traffic Regulation Order. Glasgow City Council aim with this Order to improve the Colleges Cycle Route from Highburgh Road through to Jordanhill. Unfortunately, the cycle lanes proposed are at the absolute minimum width of 1.5m, kerbside parking is permitted for most of the route, with the door opening zone at the absolute minimum width of 0.5m and there is no cycle lane at all westbound through the junction at the top of Clarence Drive and down past Hyndland Secondary School. Glasgow Dowanhill and Byres Road (Traffic Management and Parking Controls) Order. 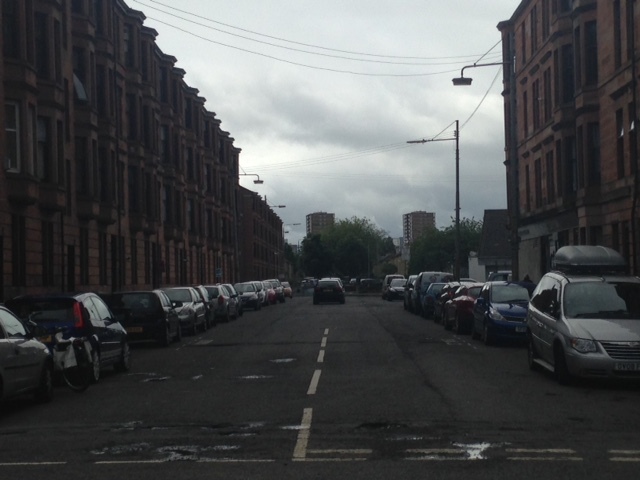 Glasgow City Council propose to significantly increase on-street parking, introduce one-way streets for motor vehicles, but with contraflow cycling allowed in this area. Contraflow cycling on one-way streets is widely accepted as good practice but the Order gives no detail of signage, allows parking on both sides of the streets rather than one, allows parking too close to road junctions and is being done, as far as we know with no reference to a city-wide policy. Go Bike has thus submitted an objection, on 18 September 2014. Glasgow City Council propose to upgrade the bus route along Pollokshaws Road, but have failed to take account of their policies and good practice with regard to cycling. Go Bike submitted its objection on 28 August 2014. Glasgow Queen Street Station Redevelopment, Stage 1 consultation. Network Rail propose to redevelop Glasgow Queen Street Station in conjunction with the extension of the Buchanan Galleries Shopping Centre and the construction of longer platforms and electrification to allow quieter and longer trains. Two Go Bike members met with Network Rail and we submitted our proposals to include a cycle hub, as per ATOC’s cycle-rail toolkit and other improvements on 18 May 2014. Glasgow City Centre Transport Strategy: these proposals, as they affect cycling, were discussed at the Go Bike public meeting on 12 March 2014. If implemented, they have the potential to improve the city centre environment and Go Bike submitted comments on 30 April 2014. Glasgow Fastlink Bus Proposals Elder Street to Moss Road. This scheme will establish bus-only bus lanes for a fast link bus from the city centre to the new Southern General Hospital, relegating cycles from the relative safety of a shared bus lane to either sharing a lane with all other traffic, using a footway or a circuitous diversion. 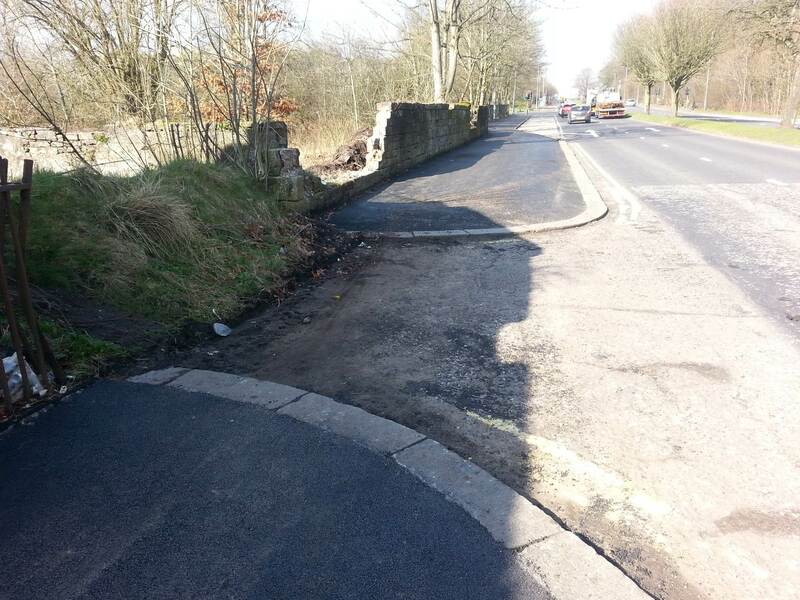 Go Bike objected to this section of the scheme on 27 March 2014. Glasgow Hillhead Traffic Management and Parking Controls. While not in the headline changes, Glasgow City Council proposed to introduce contraflow cycling, which if introduced properly would be a boon to cyclists and cycling. Unfortunately, that was far from the case with these proposals and Go Bike submitted an objection on 08 March 2014. Glasgow City Parks consultation; this was a controversial consultation from Glasgow City Council, which led to the creation of a Facebook page of its own, Save Glasgow Park Life Go Bike submitted comments/objection on 12 February 2014.